AEC Printing is locally-owned and operated in beautiful Flagstaff, Arizona. 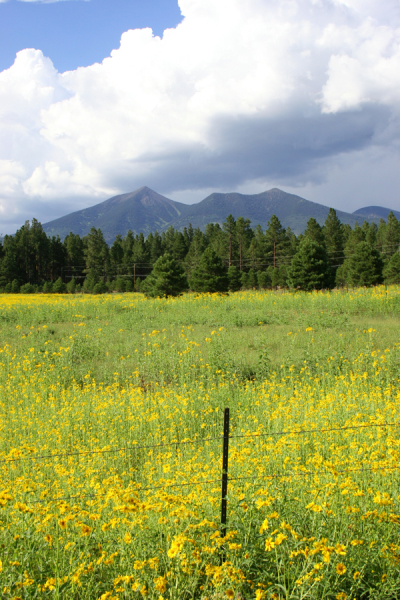 We love it here, and we're proud to call Flagstaff home. AEC Printing was started in 1973 by Flagstaff native Chuck Dryden, and is now owned by his daughter Amy, also a Flagstaff native. We develop customer relationships that span decades, and treat each customer as part of our extended family. We always remember our customers are our neighbors and friends! As our reach continues to expand, sometimes far beyond the borders of our city, our dedication to service and supporting our community remains the same. We regularly contribute free and reduced-cost printing for fundraising, events, non-profits, and classrooms! We offer discounts for teachers, students, and veterans. We've worked hard over the years to maintain our core values - incredible customer service, outstanding quality, amazing turn-around times, and commitment to our community. We do this by training and retaining excellent employees, staying ahead of the curve as technology changes, and always remembering that every customer deserves to be ecstatically happy! We would love to help you! Please contact us today!